In 1993 Jewish theologian Deborah Lipstadt called British historian David Irving a “Holocaust denier.” Irving sued her for libel in return. Subsequently a court case unfolded in England which attracted the attention of the world’s mass media in 2000. The sharpest weapon in Lipstadt’s defense arsenal was Jewish art historian Robert van Pelt, who presented an expert report claiming to refute revisionist assertions about Auschwitz. Because Irving had neither the support by any expert witnesses nor was he himself an expert on the Holocaust, he inevitable lost the case. Robert van Pelt was therefore praised as the defeater of revisionism. When he published his revised expert report in his book The Case for Auschwitz in 2002, he even advanced to the foremost expert on Auschwitz in the public’s eyes. 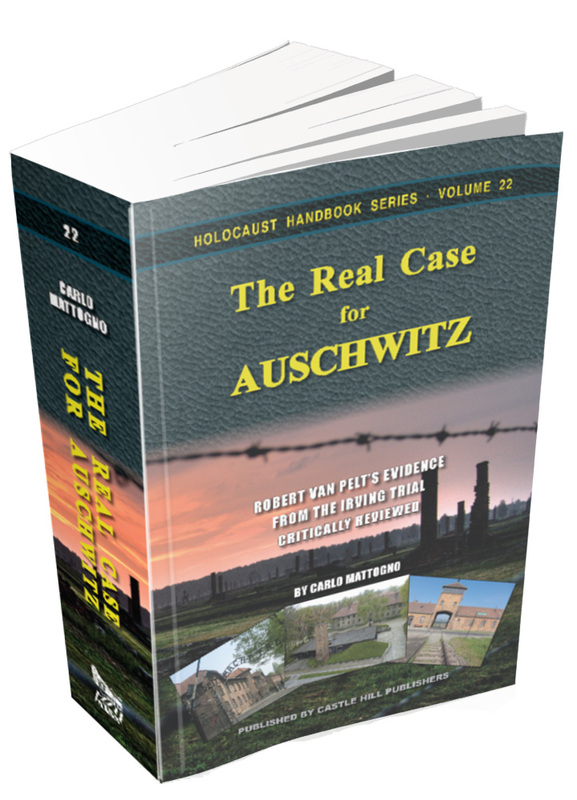 Mattogno’s The Real Case for Auschwitz is the revisionist response to Robert van Pelt. On 750 pages, Mattogno thoroughly scrutinizes van Pelt’s assertions by juxtaposing them to material and documentary facts. The author's first revelation is that van Pelt has committed plagiarism: he plundered and basically regurgitated the research results published in 1989 and 1993 by French researcher Jean-Claude Pressac – yet without naming his source even once. 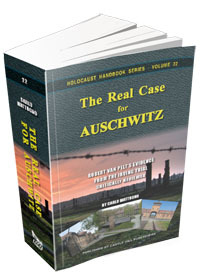 Mattogno’s analysis is devastating for both Pressac and van Pelt, as it reveals that their studies of Auschwitz ignore crucial counter-arguments, fail to approach pivotal technical issues with technical means, are highly inconsistent, use deceptive methods, present conflicting sources without due source criticism, deform all sources to serve the author’s perspective, and reveal a shockingly threadbare knowledge of the history of the Auschwitz camps. This is a book of prime political and scholarly importance, as it delivers the exterminationists’ case the most devastating blow ever! 2nd, slightly corrected edition, 758 pages. Format: pb, 6"×9", 66 illustrations, bibliography, index, glossary.